One warm, sunny day this summer (okay, who am I kidding? …it was miserably hot and sweaty), my mind and body lay adrift on a raft in the pool; my nearly finished overdue library book resting on a towel on a lounge chair near the edge of the pool. With the sudden gust of a summer breeze, this blissful tranquility was interrupted by a gentle kersplash. There, floating blissfully itself in the shallow end of the pool was my paperback novel, sent airborne by my windswept towel, drinking up enough chlorinated water to fill an inflatable baby pool. I dog-paddled from the deep end to its heroic rescue. But the damage was done. As it turns out, formerly wet books – even those thoroughly dried with a hair dryer – are frowned upon when returned at the library. If only I had heeded that overdue notice I received just a few days prior. Instead of a 50-cent fine, I paid $27.99 for my overdue sins. In a water-soaked way, my personal folly draws attention to the value of self-sealed reminders, notices and other business communication like those produced by PSMailers systems. 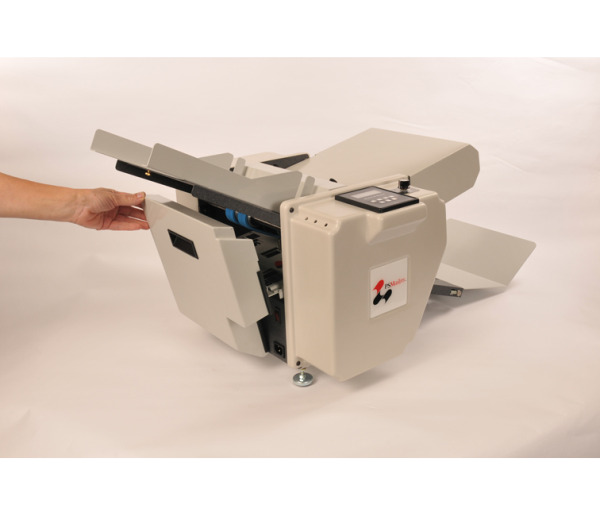 Printing, folding, sealing and addressing communication all in one system is a true time and money saver for public institutions, schools, and businesses that operate on limited resources. PSMailers systems are available in a wide range of sizes and capacities to fit the volume needs of any size operation. From overdue notices, grade reports and other confidential information to marketing promotions, PSMailers can handle anything that needs to be printed and mailed efficiently. So, my friends, I implore you to learn from my mistakes. 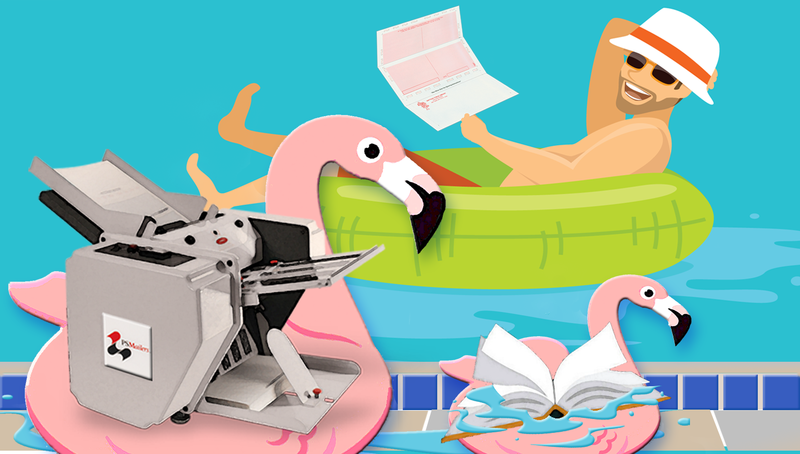 Always renew your library books on time… always keep them as far away from water as possible…and always remember the productivity, flexibility and efficiency of PSMailers! Feeling the heat? PSMailers to the rescue! This summer has already been a scorcher for much of the country, with heat spells in the 90s-plus F°¬ blistering communities from the east coast to the southwest. How hot was it today? It was so hot that you could almost hear the king of late night comedy, Johnny Carson, riff on the heat. • PSMailers keeps it “chill” with a line of compact, Small Volume folder/sealers designed for businesses that need 1,800-3,000 sheets/hour capacity. • Busy offices can find much relief with PSMailers Medium Volume systems equipped to handle a demanding load without demanding too much of an organization’s budget or space. 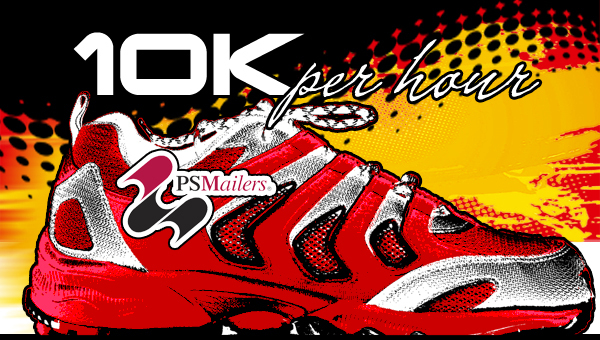 • When the work really heats up, PSMailers Large Volume and Specialty models make light work of heavy loads. 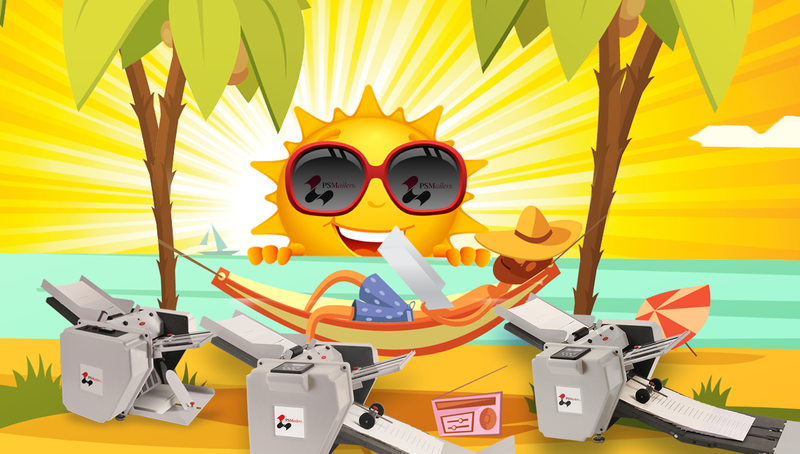 This is also the perfect opportunity to remind PSMailers customers to store PSMailers documents in a temperature-controlled environment to ensure they are always in perfect condition for printing, folding, sealing. So before you start seeing chickens lay hard boiled eggs this summer, help turn sweat into “Sweet! !” with PSMailers to the rescue. See you at the pool! Last one in is a rotten (hard-boiled) egg! Wives create them with glee. Husbands dread them. I’m talking about the honey-do list (also known as an implement of torture in the eyes of man). I will admit such a list typically contains important, often urgent, and usually annoying-but-small tasks that just need to get done. And I further admit that once I have tackled said tasks, I often wonder to myself “Hmmm… that was easy. Why didn’t I take care that a long time ago? ?” But please don’t tell my better half. The wisdom and power of a honey-do list is not lost upon me in the PSMailers world. That is why I respectfully submit to you, PSMailers system user, a honey-do list so short it contains one simple, do-able item: Monthly maintenance of PSMailers system. Performing this task monthly or every 10,000 forms will ensure that your system continues to function properly for years to come. Well worth your time, I promise. Disconnect the power cord from the machine. 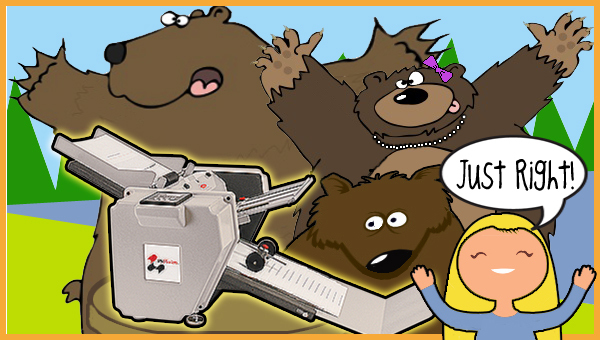 Vacuum any paper dust or toner that has accumulated on the feed table and the rollers. Open the access panel in the side cover opposite the control panel. Insert the 7/16” socket at the end of the breaker bar (inside the tool bag) over the hex shaped end on the #3 roller. This bar can now be used to rotate the rollers. Clean the stainless steel rollers with a household cleaner to remove any accumulated toner. As you clean, use the breaker bar to rotate the rollers so that the entire roller surface is cleaned. Clean the rubber rollers and the feed belts using a rubber roll rejuvenator (available at your local office supply store). Use the breaker bar to rotate the rolls and feed belt as you clean so all the rubber surfaces are cleaned. Return the breaker bar to the tool kit and replace the access panel. Make sure that the power switch is in the OFF position. Connect the power cord to the machine. Much in the same way that tending to a honey-do list can bring peace to your personal relationship, minding this quick and easy regular maintenance can bring you many blissful years of PSMailers performance. Much like vinyl records, handlebar mustaches, and Pabst Blue Ribbon beer,* public payphones are having a bit of a comeback these days. What were once blue beacons of instant communication (long since collecting cobwebs and graffiti) are being turned into Wi-fi hot spots and information kiosks in New York City. The grand plan is to eventually convert 10,000 payphone relics throughout The Big Apple. This story warms my heart because I am quite fond of communicating via what many consider an old fashioned means. After all, the phone is perhaps the least used feature of smart phones and many people I know have abandoned their landline home phone all together. But when it comes to PSMailers, reaching the Support Center by our dedicated toll-free line (800-464-5030) is one of the best ways to get the information you need. PSMailers customer service representatives are available Monday through Friday, 8:00 am to 5:00 pm EST, to provide personal assistance with installation, troubleshooting, and product information. There’s nothing more reassuring than talking to a real live person when you have technical questions. PSM representatives are friendly and informed…the best in the business, I always say. And now if you’ll excuse me, I’m off to spin some vinyl and twirl my mustache. *No joke. Search “How did Pabst Blue Ribbon become a hipster favorite?” if you weren’t aware of this retro resurgence. Alphabet soup of folding styles... mmm mmm, confusing! Apologies for planting the Campbell’s Soup earworm in your head. (At least I didn’t mention your favorite bologna…you know, the one with a first name and last name…or a certain cat food mix that will leave you mentally meowing in double time). 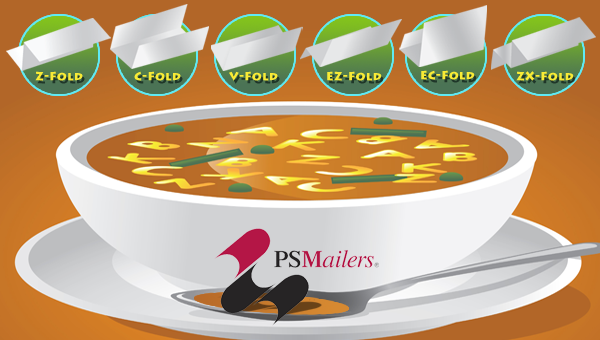 But you see, I was reviewing the many fold styles available for use with PSMailers… C-fold, V-fold, ZX-fold… and I realized this alphabet soup of letters likely stirs up a hot cup of confusion for many users. I figured that PSMailers Guy fans (I know you’re out there) would appreciate having these spelled out clearly. Z-Fold "Accordion style" Z-Fold This is the most common fold style. Creates the letter "Z" when folded; easy-open style good for forms, checks and other mailings. 8.5" x 11" 8.5" x 14"
C-Fold "Letter" or "Tri-Fold" Great for checks and forms. 8.5" x 11"
V-Fold "Half Fold" or "Single Fold" Forms the letter "V" when folded, provides generious space for information. 8.5" x 11"
EZ-Fold "Eccentric Z-Fold" Uneven Z-Fold, great for checks and forms that need a little more print real estate. 8.5" x 14"
EC-Fold "Eccentric C-Fold" Legal size accommodates a fourth panel for return envelope. 8.5" x 14"
ZX-Fold "Z-Fold with extra voucher" Legal size version of the Z-Fold with a fourth panel that creates a detachable voucher ideal for printing A/P checks. 8.5" x 14"
One of my favorite activities in the evening is tucking PSMailers Guy Junior into bed and telling him bedtime stories. The little guy is easy to please, so the other night I recounted the tried-and-true tale of Goldilocks and the Three Bears. As I sat down later that evening to pen (er, two-finger-type) this blog, it occurred to me that choosing a PSMailers system requires an inner Goldilocks of sorts. A little voice that helps you select the pressure seal self-mailer model that’s juuuust right for your needs. For example, mid-sized organizations and busy offices poised for growth would find that PSMailers Medium-Volume machines easily satisfy the proverbial fair-haired lass within. Not too big, not too small, PSMailers Medium-Volume systems are designed to handle a demanding load without demanding too much of an organization’s budget or space. 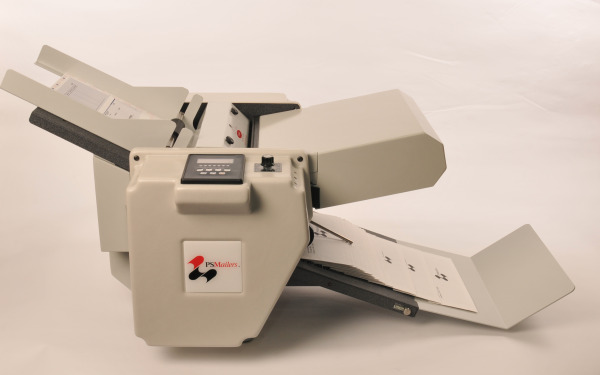 The PSM5000 is a folder/sealer that includes an integrated 18” conveyor and digital counter at no extra cost. This mighty machine handles output of up 5,000 pieces per hour. Not to be outdone, the PSM7000 system with conveyor lives up to its name, processing 7,000 sheets per hour. Even Little Red Riding Hood would be impressed! Both models handle paper sizes up to 8.5” x 14” and a variety of fold styles, including C, V, EZ, Z and EC. Just kidding. Until next time, sweet dreams! Okay, I’ll admit it. 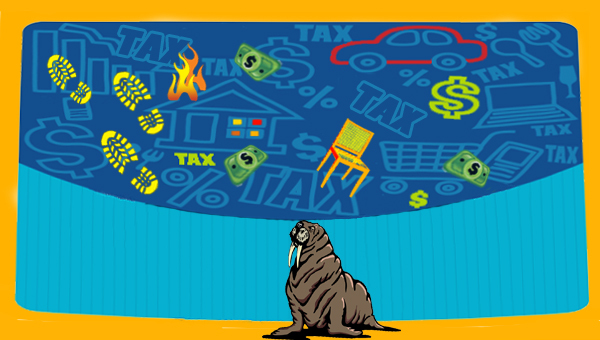 I am not really the Walrus…that was a cheap ploy to get your attention (and to work another Beatles reference into this blog). But now that I have your attention, I would like to take this opportunity to remind you that required tax documents are due in the mail by January 31st. If you’re like me, you work best under a deadline. So those PSMailers should be humming along as we speak. Remember to select the right fold design for your machine and do a test run before you process a complete batch. (See last month’s blog for more tips and clever Beatles puns). As you tackle this tax time task, you will find it reassuring to know that our Customer Service and Tech Team (the best in the business, by the way) is available from 8 a.m. to 5 p.m. EST to answer all of your questions and help you resolve any issues you might be experiencing. Our team of experts know PSMailers systems inside and out, and can have you up and running in no time. In addition to our Customer Service support, you can obtain a wealth of additional information here on PSMailers, or reach out to our Customer Support Team at 800.464.5080. 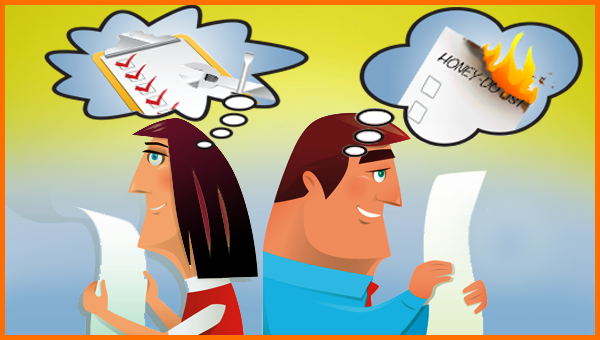 Free and easy….which is more than you can say about the new tax code. 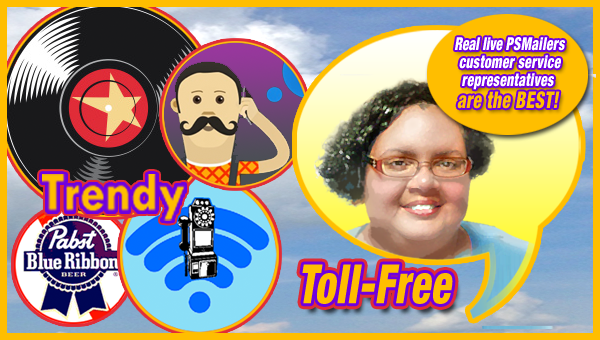 A match made in …cyberspace! Matchmakers, arranged marriages, online dating websites…since the beginning of civilization, humans have relied on man and machine to find that perfect match. Some result in the happily-ever-after, others never make it past a disastrous first date. While I’m no expert on love, I do know one matchmaking tool proven to succeed: the PSMailers Select Your Model online tool. With 8 models of PSMailers systems – from low volume models to robust, high capacity systems – not to mention a wide variety of self-mailer documents to choose from, finding the right solution can be daunting. But we’re confident we’ll provide the perfect match. “How can you be so sure it will be love and productivity at first sight?” you may ask. The answer is simple: we base it on YOUR input. Just go to our website and enter the number of Payroll, A/P, and Statements/Invoices/Other documents you process per week. Within seconds, the tool calculates productivity and recommends the best model(s) to handle your needs. You’ll even see key product features for your match, including Speed, Documents/Hour, Duty Cycle/Month, and the Warranty. But please don’t just take my word for it. Click here and try it. And if you’re still not sure our recommendation is “the one,” take a look at our handy Fact Finder and Cost Justification Worksheet for complete information. Available as a .pdf or Excel spreadsheet. I think you’ll find that PSMailers provide the perfect marriage of productivity and efficiency. Sometimes we just need a bit of peace and quiet. As we age, we don’t always want to hear that old time rock ‘n roll. We just want silence. Pure and total silence.....(probably more than we’d like to admit....wink, wink!). Office equipment such as copiers, printers, fax machines, the constant pinging of your email inbox, instant messages, text messages, the good old telephone....well, they’re all background noises that we have to deal with in an office environment. 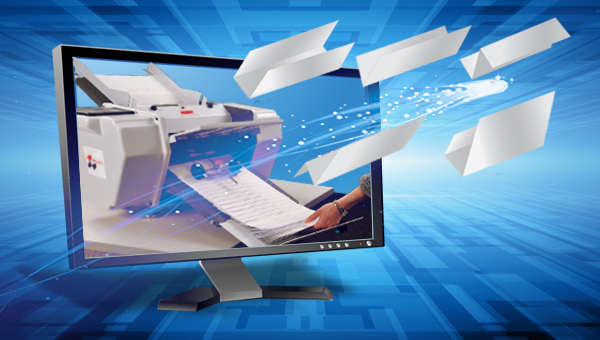 High-speed printers tend to be the noisiest of them all. Don’t get me wrong, high speed printers are great. That means more business, increased sales, better profits, happier management team, etc.! However, we all know that higher speeds translate into louder operations. Now you feel sorry for the employees sitting closest to the noisiest machines in the office, don’t ya? There has to be a way to quiet these machines so productivity can skyrocket, right?! Sound covers are the greatest invention since “white noise”. Sound covers do double duty. Not only do they reduce the decibel level of the equipment, but they help protect the rollers and equipment from dust and debris that accumulates over time. It also helps protect our hearing. (Now, you have an excuse for your spouse....it’s the office equipment, I swear. I really can’t hear you!) Be sure to extend the life of your PS Mailers equipment and place the sound cover over the equipment whenever it’s not in use. Keeps the gunk out. I highly recommend a PS Mailers Sound Cover. Sound covers provide extra safety for machine operation and better, longer-lasting performance of your investment! And, for those sitting closest to continually operating office equipment, sound covers enhance the work environment by muzzling the beautiful hum of productivity, making them essential for every productive office. For a small amount of money, make the super smart investment of a sound cover. You’ll be protecting BOTH your employees health (no hearing aides needed!) AND your PS Mailers equipment! One size fits the PSM5000, PSM7000, and the PSM10K.